She looks exactly like Cal's shy childhood crush, but her name is Nyelle Preston and she has no idea who he is. This girl is impulsive and daring, her passion for life infectious. The complete opposite of Nicole. Cal finds himself utterly fascinated-and falling hard. But Nyelle is also extremely secretive. And the closer he comes to finding out what she's hiding, the less he wants to know. 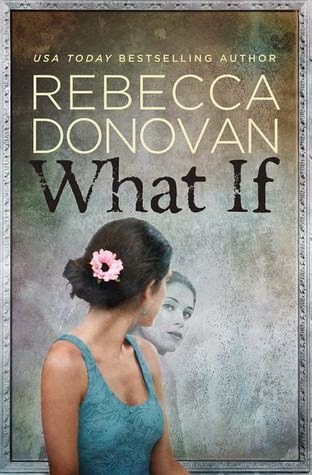 This was the first book that I've read by Rebecca Donavan and I have to confess that even though I had heard of her before, I don't have any of her books on my kindle. I will rectify that soon and be one-clicking her books like a crazy lady. The story is told mainly in the POV of Cal although we see POVs from other characters as well. This is one of the few books that I was able to connect with, understand and enjoy all of the characters involved. After reading the blurb I was constantly trying to guess what was going to happen and I couldn't. As I progressed through the story I was gripped and frustrated by the fact I didn't know what Nyelle is hiding. Rebecca managed to weave a beautiful story about friendship, sacrifice and love. This review was prepared by guest review JoJo Belle. An ARC was received in exchange for an honest review.